A velvety smooth formula that doubles up as a bronzer and contouring stick, Milk Makeup’s Matte Bronzer offers as much beach-ready colour as a sun-drenched getaway. The stick has been cleverly designed to make application a walk in the (very sunny) park – simply swipe under your cheekbones, jawline and collar bones for immediate definition, or blend over your face and body for an all over glow. Sun-kissed skin in a stick – this creamy bronzing stick delivers bronzed skin in one easy swipe. The lightweight formula is ultra-blendable and buildable, granting a barely-there tint through to a week-on-the-beach glow. Its bronzing powers aren’t just confined to your face – swipe it over collarbones, legs, arms or wherever you want a sun-kissed glow. 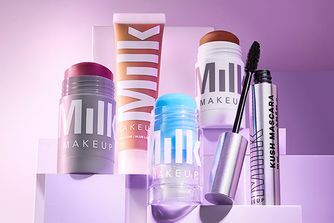 It wouldn’t be Milk Makeup if it wasn’t infused with plenty of good-for-you ingredients. Mango butter, peach nectar and avocado oil provide a nourishing hit, keeping skin hydrated throughout the day. Choose between two gorgeous shades: the bronzy ‘Baked’ and the deep brown ‘Blaze’. Apply to cheeks, chin, nose, forehead, collar bones or wherever you want a sun-kissed glow. Blend with your fingertips or a bronzing brush. OMG I can’t get enough of this cream bronzer! It’s so easy to blend and apply, looks like a natural bronze and isn’t matte so looks sunkissed too! Since buying Milk makeup I can’t stop using it. I love the way it looks on the skin and the amount you get for your money. I got the lightest colour in the bronzer and I mix with the hydrating oil stick on the back of my hand and apply to my face with a brush for a dewy/ bronzed look - just like I had seen in one of Milk videos and that’s my go to everyday look now. It takes me 15 minutes in the morning to do my makeup so bonus all round! This product is nice and creamy. It blends out perfectly, glides on to the skin. When you first open and use it, it feels a bit rubbery but you just have to work it in and then it softens. It's got a nice glow that will compliment other cream products like a cream high lighter or a cream blusher. It just works so well with my other make-up. If you hate the powdery, glittering bronzer look then this guy is for you. It's well worth the price because the amount of product you get is more than a years worth and I use this EVERYDAY. The only real let down for me was the size of the tube. It makes it harder to apply if you're going to a delicate look or if you want some precision when doing nose contour. It would be nice if they included a specialised device to help you apply with a bit more accuracy but I suppose you can always use a brush. Other than the less than practical size of the bronzer, it's a dope product. Also, I think the colour is really nice. It would be nice to get a deeper darker set of colours for dark skinned people too. Otherwise, I highly recommend this if you're a fan of cream products and want a natural, dewy make up look. This bronzer is a perfect shade, even for my very pale skin. It blends so well and doesn’t look cakey at all. I also like using it on my neck and chest for a quick bronze. I think there’s enough product to last me forever! But if I do I will most certainly be buying it again! 10/10 would recommend. I choose the dark shade, but you can barely see it and I'm medium skin tone. All pores stand out after the application and its smells like playdoh. I'm so sorry milk makeup. Like the Lip + Cheek stick Werk I purchased, I tested it for a few days before giving my opinion. Initially I felt let down I thought it wouldn’t be as sticky, maybe more moist? But I really wanted to love it and mixed it with the Milk Hydrating Oil. It’s the best!!! 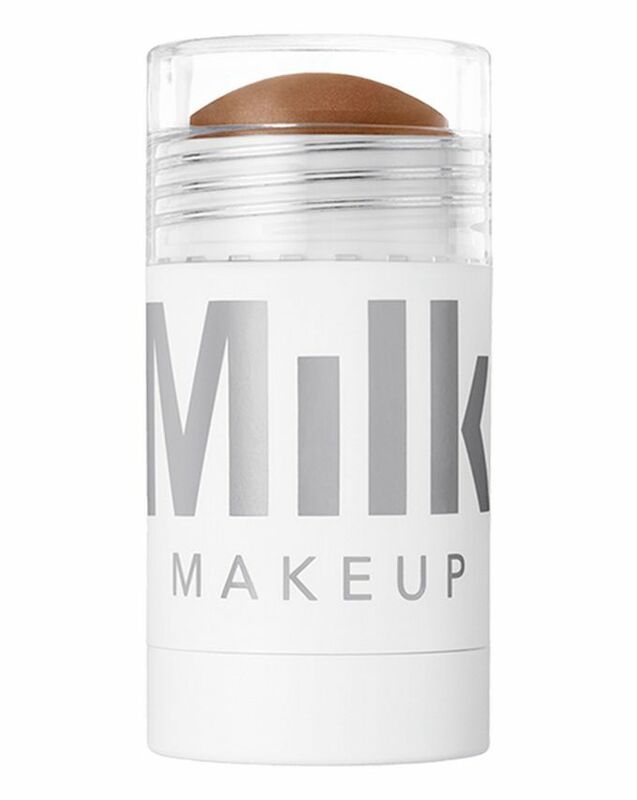 Milk products are very versatile - you can use it like a foundation, or you can just contour. You can also use it as an eye shadow; just smear a little with your fingers and it looks gorgeous. It’s dewy and you look fresh and flawless. I can’t recommend this enough. I was so unsure about this as a mature lady i wanted to try a creme bronzer but i am very fair skinned that doesn’t tan. I bite the bullet and ordered this and it’s blown my mind, in baked the lightest it’s perfect. Applied straight into skin and bugged out it’s brilliant and so much easier than powder bronzer. This works well over primer too just to give a flush of colour it’s going to be amazing over the summer month! totally a holy grail product and for the cost it’s brilliant! Really like this bronzer. You can building it up to whatever intensify the colour. It blends out really well too. ALSO I use it on my eye lids to add some warmth when I cant be bothered to add eyeshadow. ( a great tip from the Milk Makeup Instagram). Easy to use and great colour. Can't believe how difficult this cream stick is to blend. Really dry formula, blends out eventually but so patchy. So disappointing for the price! This bronzer is the best natural glowing bronzer without shimmer. It gives such a natural tan, airbrushes the skin and is quick to apply. The best cream bronze ever! Cannot wait to use it in summer! Gorgeous, creamy easy to use bronzer! I cannot wait to use this even more in summer for that glow! I cannot even tell you how much I’m loving this... but I’m going to try otherwise it would be a short and pointless review. I bought this two weeks ago and I have used it every day since. I bought the lighter shade and it blends seamlessly on my NC25 (30 when tanned) skin. I use it as a bronzer/contour on my cheeks and then up around the perimeter of my face and forehead. It isn’t too warm or too cool, it would be Goldilocks approved if she liked a cream bronzer. For the price, you get a massive amount and I am pleasurably anticipating a long and happy relationship with my current one. When I apply, I dab it rather than swipe it and it’s seems to blend more naturally that way. I then gently dab my IT cosmetics #7 brush over it to buff it out. It doesn’t move my foundation and gives a warm radiance to my skin. I have reactive skin and after two weeks there’s no sign that my face is about to throw a hissy fit... hallelujah! In case you can’t tell, I definitely recommend this product. I also love the blushes in this line. Buy it, you won’t regret it. I'd heard so much about this bronzer on a recent trip to New York I tried to get my hands on it but the shade Baked was out of stock everywhere! 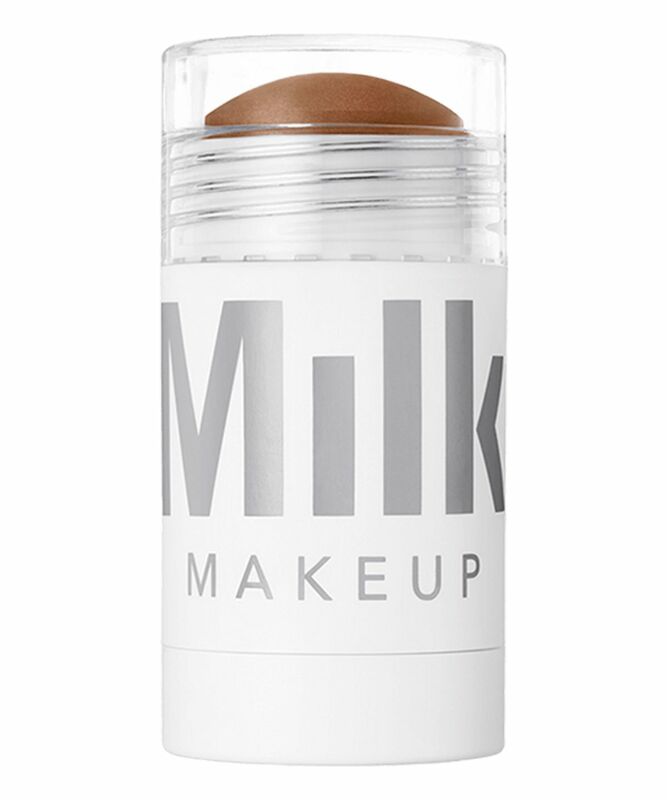 I was so happy when Cult Beauty announced they'd be stocking Milk and was eager again to get my hands on this bronzer, alas it was awaiting stock! Finally it came it to stock and it was mine. I've literally used it everyday. So worth the hype!! Nice colour, easy to apply. Pleased with this Milk product and the Perk blush stick I bought. I have very fair skin and initially wanted to get 'Baked' but it was sold out so I bought 'Blaze' - works great, the colour is lovely on my skin with cool undertones used lightly, does not look orange at all. This bronzer is honestly amazing, it blends out so well and adds this natural warmth to your face that powdered bronzers never did. I have also been getting compliments about my skin looking 'glowy' since I've started using it which is a plus! I have really fair skin and baked is the perfect shade for a bronzer. It isn't too warm but not too cool toned. It blends like a dream and doesn't move the foundation. I like how it isn't too matte as it gives a healthy glow to the skin. This bronzer is easy to slap on and blend out. The colour isn't too intense which I like. Creamy, perfect colour (I have the shade Baked and very fair skin) blends out like a dream, I just use a big fluffy brush. Lasts all day on my oily skin. So impressed!!! I used to use the Nars Matte Multiples for cream bronzers in stick form, but they have gotten smaller and smaller and my shade was discontinued. So delighted to have found this one. I bought Baked. It’s very creamy and blends like a dream. I’m NC15 and it’s not too dark on me as you can build it up easily. Already on the wait-list to order another!